Dr. Gilmore was born and raised in Canton, Ohio, and is a graduate of the United States Naval Academy in Annapolis, MD. He completed a military career by serving in the Navy for nearly 30 years, first as a nuclear engineer, and then as a dentist and orthodontist. He lives in Scripps Ranch with his wife of 29 years. They have two grown children and a beautiful black lab named Millie. Sarah graduated from Cal Poly in San Luis Obispo and Tufts University. She works as an Occupational Therapist. Following in Dr. Gilmore’s footsteps, Sawyer is a also a graduate of the Naval Academy and is in training to become a Navy Pilot. When not in the office, Dr. Gilmore enjoys spending much of his time outdoors with his family, especially skiing, snowboarding, camping and hiking. He also regularly participates in fitness activities like swimming, biking and running. Changing people’s lives and smiles is what makes me passionate about orthodontics. It is the perfect combination of art and science, enabling me to use both to create beautiful smiles. Meeting so many wonderful and unique people is what makes every day truly exciting and rewarding. I welcome new patients to the office and assist Dr. Gilmore during the New Patient Exam and Consultation. I enjoy meeting and interacting with all our patients. I have a true passion and enthusiasm for helping our patients and giving them a fantastic experience! Being a San Diego native, I take full advantage of what it has to offer! I enjoy having fun in the sun and spending quality time with my family, whether it’s cooking for them, crafting, or enjoying a good movie and sharing some good laughs! I am the first and last person our patients see. I keep the front office running smoothly, and manage the office schedule. I love spending time with my incredible husband, our three awesome children, and our crazy dog, Milo. We are avid Padre fans, movie lovers, and we love exploring beautiful San Diego! I am responsible for all financial aspects of the office, including insurance, billing, payments, and contracts. I am also involved in our Social Media activity. I am our patients’ advocate and the person who is the “go-to” for all financial matters. My hobbies are reading, hiking, and planning my next adventure. I assist Dr. Gilmore as we work chairside on our awesome patients!. I also take x-rays, make retainers, and take iTero 3-D scans for our clear aligner patients. I love interacting with our patients and I really enjoying seeing their progress and get excited right along with them! In my time off, I love spending time with my husband and three children. We love going on adventures, enjoying the sun, and experiencing outdoors games and activities. I am also very involved in my church and regularly cook for events we hold! While assisting Dr. G chairside, I am dedicated to providing an exceptional experience for our patients. I enjoy the positive energy in our office and truly enjoy coming to work each day. I also love to make retainers for our patients to ensure that their smiles stay awesome after braces or Invisalign. I am blessed with two amazing daughters, a new son-in-law and a son-in-law-to be! I enjoy mostly outdoor adventuring, paddle boarding, 4-wheeling, sporting events, country music concerts, or watching the sunset. Besides orthodontics, family, friends and vacationing are my passions! 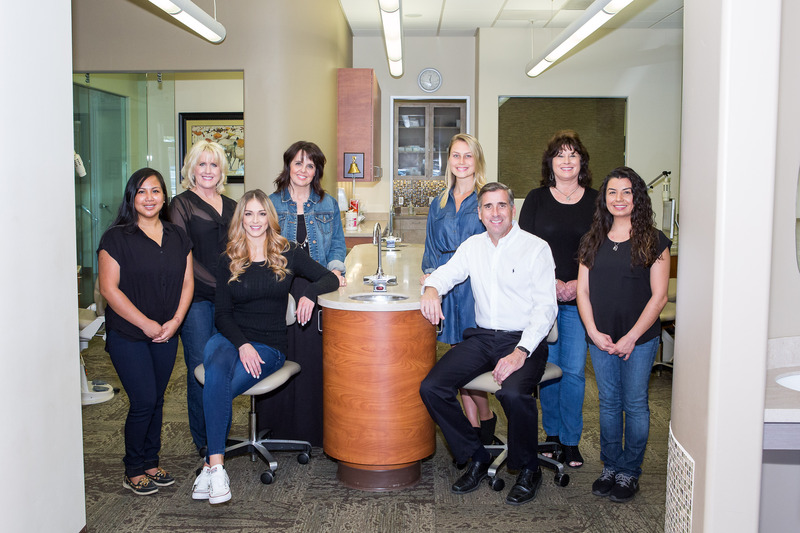 I started as an intern at Gilmore Orthodontics and now, as an RDA assist with the making of great smiles! My husband and I have a beautiful son and handsome daughter. They are everything to me! I’m one of the first people you meet when you come in for your New Patient Consultation. I take x-rays, and photographs and also take accurate impressions and fabricate plaster models. I am responsible for sterilizing all the instruments and preparing the chairside assistants for their next patients. I love spending time with my amazing husband and our two furry babies, Moose and Wolfe! We are originally from Boston and love hanging out with our friends, going to the beach, and trying out new things.